2 Bedroom Detached Bungalow For Sale in Torpoint for Offers Over £160,000. This well presented detached chalet enjoys stunning panoramic sea views from a desirable cliffside position and briefly comprises two bedrooms, shower room and an open plan kitchen and lounge with a mezzanine. 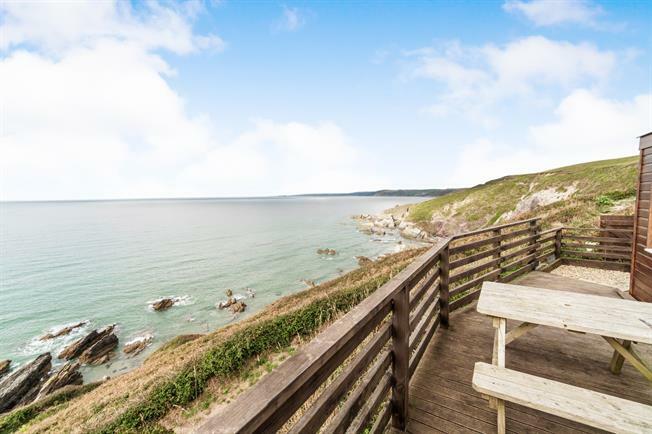 The property also benefits from a garden area including a separate office/storage outbuilding and decked terrace suitable for al fresco dining and enjoying the panoramic sea views.